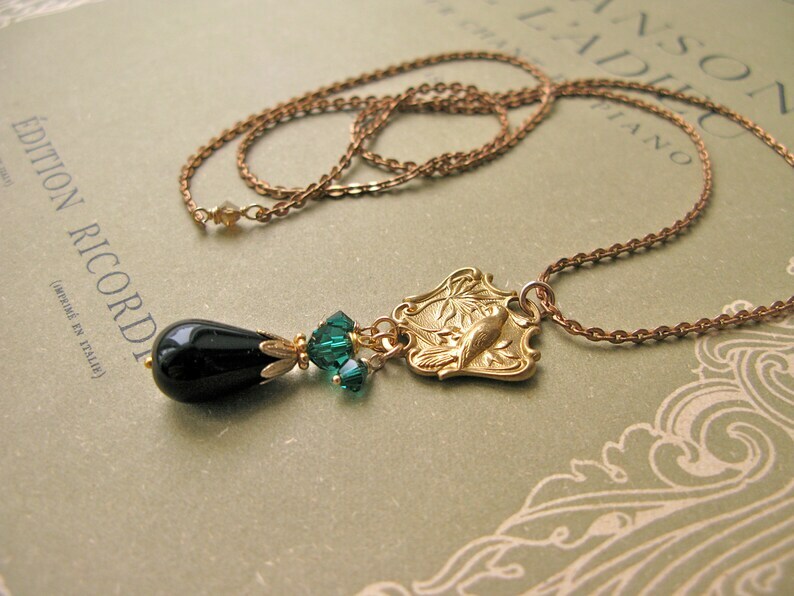 This adorable necklace straight from a paradise garden feature a gorgeous vintage brass stamping, vintage brass leaf bead cap, deep black czech glass drop, swarovski crystals and gold fill findings. The chain is vintage pure brass. Length of chain approx. 65cm, length of pendant 5,5cm. Handmade with love and care in Helsinki from vintage and new, great quality materials!